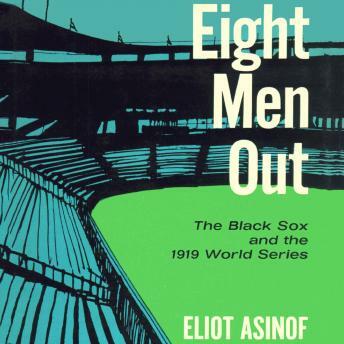 In 1919, American headlines proclaimed the fix and cover-up of the World Series as “the most gigantic sporting swindle in the history of America.” In this painstaking review, Eliot Asinof has reconstructed the entire scene-by-scene story of the scandal, in which eight Chicago White Sox players arranged with the nation’s leading gamblers to throw the series to Cincinnati. Asinof vividly describes the tense meetings, the hitches in the conniving, the actual plays in which the Series was thrown, the Grand Jury indictment, and the famous 1921 trial. Moving behind the scenes, he perceptively examines the backgrounds and motives of the players and the conditions that made the improbable fix all too possible. Far more than a superbly told baseball story, this compelling American drama will appeal to all those interested in American popular culture.